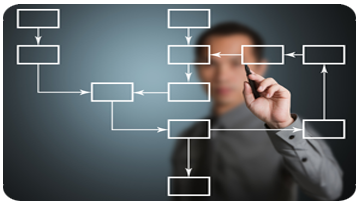 How can vendor management create better processes in my business? The largest benefit of good business process management is Cost Efficiency that can mean decreased costs and increased revenue. While the rest of benefits of Business Process Management delivers is intangible in the short term, they add crucial value in the long run, and help organizations of any size with gearing up for worldwide competition. What software is best foe vendor management? Process Management can help organizations prepare for global competition by assisting business leaders to improve organizational performance by analyzing, designing, implementing, monitoring, controlling and modifying operational business processes. With the business environment in a constant state of change, it has become increasingly important that business processes adapt to new conditions quickly. Some tasks and processes may need to be executed millions of times. By automating repetitive tasks and processes, you can eliminate the risk of errors and you can be sure that internal standards are met every time a specific process or task is running. Automated tasks and processes mean less errors. Automation is the key to keep the execution quality at the desired level and ensure that a task or a process is executed in the exact same way every time. In addition to saving time and cost advantages, the organizations that have implemented business process management also found several other key advantages. One of these is the reduction or even elimination of the loss of business caused by errors, such as loss of forms and documents filed in error, omission of important information or need to review. Even if your organization has figured out everything about business processes and tasks are running just fine, the metrics and analytics of a software tool will point out for you the details that can be improved to deliver even better results!